If you have been diagnosed with gum disease, you are not alone. Many Americans are diagnosed with gum disease, so you don’t have to feel as if it’s something to be ashamed about. Gum disease (which ranges from periodontitis, gingivitis and more) is very common in the U.S. According to the American Academy of Periodontology, data from the Centers for Disease Control and Prevention show over half of American adults suffer from gum disease. Roughly, the study showed that approximately 64.7 million adults have moderate or severe periodontitis. From the study, it’s pretty safe to say that over half of Americans have an issue with dental health. Neglecting to brush and floss regularly: Having good oral hygiene is one way you can prevent against putting yourself at risk for gum disease. Gum disease is essentially caused by bad dental hygiene, so by sticking to a daily routine, you are already fighting against bacteria. Forgetting to schedule regular appointments: Although brushing and flossing helps, only a periodontist can help with regular teeth cleanings. Our specialists in San Antonio will remove any tartar that has built up on your teeth, which is something that cannot be done with simple brushing and flossing. Smoking: Smoking or chewing tobacco is not good for your teeth or your gums. The habit of smoking increases your chances of getting gum disease because it doesn’t allow for your gum tissues to heal naturally. There are also ways to help prevent gum disease. Because so many Americans suffer from it, it’s never a bad idea to take preventative action against the disease. For instance, visiting your periodontist regularly to make sure that your teeth and gums are healthy is a great way to check that your dental health is good. 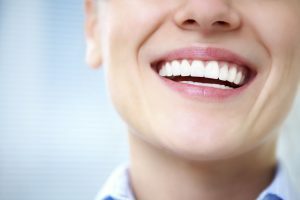 At KRK Implant Center in San Antonio, specialists such as Dr. Krueger can help analyze your teeth to make sure that you are not showing any signs of gum disease. Although common in adults; periodontitis, gingivitis or any form of gum disease is something that is very serious condition and should be treated as soon as detected. If you suspect that you are showing any signs or symptoms of gum disease, be proactive and look into it further. At our office in San Antonio, you can call today for a consultation to help plan the best treatment options that are available for your individual situation. Gum disease is best dealt with when it is caught early, so if you are showing any symptoms, it’s better to be safe and schedule an appointment than to neglect your dental health. Schedule your consultation today at our San Antonio office by calling 210.826.3946! Over half of American adults suffer from gum disease. Research from the American Academy of Periodontology shows that a large number of adults have moderate or severe periodontitis, which is a form of gum disease. Without proper treatment, gum disease can lead to loss of bone structure, tooth loss, and unstable teeth. Essentially, having gum disease can ruin your smile, which is not good news. However, there are ways to protect yourself from the disease. Firstly, it’s important to know what the disease is and how it can affect you. Gum disease is commonly defined as an infection of bacteria involving your gums, tissues around your teeth, and the structures of your teeth. It is the chronic inflammation of your gums and teeth and can spread the longer you have it. It can affect you by causing bad breath, bleeding or swollen gums, bone structure loss, and make your teeth loose or fall out. The disease is sometimes called gingivitis or periodontal disease, which are various forms of gum disease. HOW CAN SAN ANTONIO PATIENTS PREVENT IT? These are all red flags that you may have a form of gum disease. Although some of these can seem mild or less severe, they are warning signs that you may have an infection. Some people might not pay attention to have bad breath or slight bleeding in their gums, but it is a very serious problem. The reason that this is important is because catching the disease in its earliest stages is a lot easier to treat than trying to fix the problem later on. In San Antonio, periodontist Dr. Krueger can examine your teeth and identify if any symptoms you may be showing are putting you at risk for gum disease. Some people may feel that they can diagnose themselves, but the only way to know for sure is to see a periodontist and get confirmation. HOW A PERIODONTIST CAN HELP? Periodontists are specially trained when it comes to gum disease. The primary difference between a general dentist and a periodontist is that specialists like Dr. Krueger have received advanced training and education in preventing and treating gum disease. Because of his experience with San Antonio patients, Dr. Krueger can easily identify whether or not you have the disease, are at risk for the disease, or help you stay on track to avoid getting gum disease. Remember, it’s important not to ignore warning signs and to keep your dental health in check. It’s always better to catch something early than to wait for the condition to get worse. 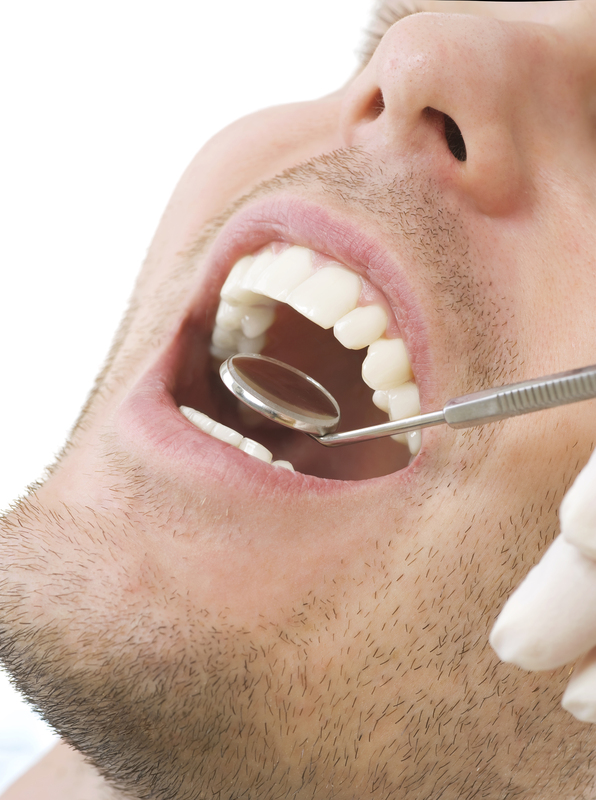 If you want to get a check up for gum disease, contact KRK Implant Center at 210.826.3946. Dr. Krueger will help assist you with any questions you may have and can help schedule an appointment today. If on occasion, while brushing or flossing your teeth you notice a little blood, you may not think twice. Some people believe that this is normal and nothing to worry about. While it may not pose a serious immediate problem, bleeding and reddening of the gums is one of the earliest signs of gum disease. What most people don’t know is that if gum disease is left untreated, it can lead to unstable teeth, receding jawbones, and ultimately tooth loss. Yet, people still ignore the early warning signs of this disease. However, there is a way to protect yourself. By staying educated and taking care of your dental hygiene, you can help prevent against gum disease and keep those pearly whites beautiful forever! Brush your teeth routinely: Most people brush their teeth at least twice a day. However, it’s important to brush after meals routinely, because it helps fight against plaque and debris that can get stuck in your teeth. Remember to floss your teeth at least once a day: This is a common hygiene step that most people skip. However, flossing helps to get rid of food particles that you can’t typically reach just from brushing. See your periodontist regularly: Even if you just make an annual appointment, frequently seeing a periodontist can help reduce your chances of getting gum disease. Our specialists at San Antonio can analyze your teeth, plaque level, and gums to make sure that everything is in order. The best way to protect your gums against gum disease is to prevent it before it becomes a problem. By identifying warning signs and keeping up healthy dental habits, you can help fight against gum disease. Seeing a periodontist at San Antonio can also help you identify potential risk factors for your teeth specifically, so you know what to work on and how to prevent gum disease. By detecting any potential problems now, you can help save yourself a lot of discomfort and financial expense in the future. If you suspect that you have some symptoms of the disease already, you should schedule an appointment. Although it could be something as seemingly harmless as bad breath, or some bleeding after you brush, these are all key symptoms of gum disease. Over half of American adults have gum disease. Considering how common it is, it’s a good idea to see your local periodontist at least for a check up. If you have any questions about gum disease, call our offices in San Antonio at 210.826.3946. A trained professional can talk with you and go over more tips and ways to prevent the disease and help you get the answers you seek. Millions of Americans suffer from dental anxiety because they fear the pain of procedures or have had negative dental experiences in the past. This makes finding the right periodontist to treat your gum disease crucial not only to your dental health but your overall wellbeing. Here are some things you should look for when choosing a periodontist in San Antonio. How Do I Find a Periodontist in San Antonio? An excellent education and professional recognition set the top periodontists apart from the merely good. Periodontists with credentials from highly ranked universities and organizations such as the American Dental Association (ADA), American Academy of Periodontics (AAP), and the Texas Dental Association (TDA) meet the top standards needed to provide exceptional patient care. For added certainty, get recommendations from other dental professionals. They know which periodontists do the best work and have the highest levels of patient satisfaction. Recommendations from other dental professionals. Though you should look for a periodontist that offers more than these qualifications, they will ensure the best possible treatment options. Periodontists with decades of experience know what works and how to deal with potential problems that may arise during your procedure. A balance of experience and familiarity with new techniques improves patient care and provides the best options for treatment. Experienced and established in the field. Up-to-date on new developments in periodontics. Actively engaged in furthering education. While experience is valuable, you should look for a seasoned periodontist dedicated to continuing education for the best of both worlds. It seems obvious that anyone engaged in patient care should be concerned with the patient’s wellbeing and comfort. However, a surprising number of patients experience impersonal care that sours their otherwise positive experience. Friendly and courteous staff to explain procedures and aftercare. Periodontist dedicated to providing you with options for comfort, such as sedation. Individualized attention to your specific needs and wellbeing. Finding a periodontist with personalized care and attentive staff will help put you at ease prior to your procedure and enhance your wellbeing when it is over. To treat your gum disease, schedule a consultation with Dr. Krueger. Contact KRK Implant Center at 210.826.3946 or fill out our contact form. What Should I Do About Receding Gums? San Antonio receding gums patients usually seek treatment after they notice that the tissue around their teeth has worn away significantly. The recession may have already exposed the tooth root and created a pocket where bacteria can grow. At this stage, the condition may have already loosened the teeth and weakened the jawbone. KRK Implant Center doesn’t want the issue to reach this point before patients respond. That’s why it’s important to recognize the signs and take action early. Essentially, any ongoing irritation of the gums and teeth can make your gums recede. If you meet any of these criteria, be especially vigilant about changes in your mouth. Understanding the causes should give you some insight into preventing or resolving the condition. First, make sure you are brushing and flossing your teeth correctly. This means using proper technique so you don’t irritate the gums, and cleaning your mouth regularly, as recommended by your dentist. Speaking of dentists, be certain you are seeing your general practitioner on a regular basis. He or she will be able to recognize the early signs of gum recession and can often advise you on handling the condition. If you know that your parents dealt with receding gums at some point, you may be more susceptible to oral health problems. The same is true if you smoke or chew tobacco, or if you grind your teeth. In any of these cases, take note if your teeth appear longer than normal or if your gums seem to be moving away from the teeth. KRK Implant Center can treat mild gum recession with a deep cleaning, which involves tooth scaling and root planing. Essentially, it’s a treatment that targets the build-up of plaque and tartar under and above the gum line. Doctor Krueger uses a local anesthetic to allow you to be more comfortable during the process. After your deep cleaning, Doctor Krueger will evaluate your progress and advise you whether you require further treatment. Most patients respond very well to deep cleaning, but there are additional procedures we offer to address the most serious cases, including gum surgery and other treatment that can repair damage to teeth and bone. Learn more about the care KRK Implant Center offers in San Antonio. Patients with receding can contact us at 210.826.3946 or fill out the form on the right. San Antonio gum disease patients wait to call KRK Implant Center when their symptoms have already become severe. They’re bothered by irritated and bleeding gums, oral sensitivity, and teeth that shift or move, and they’re ready to fight back. We care about our patients, and we would rather they manage these concerns before they require an advanced procedure. Learn how to protect yourself against gum disease at every stage of its progression and how we can support your treatment. Bacteria thrive in your mouth when you have a build-up of plaque and tartar. These organisms begin to attack the gums, causing the irritation, swelling, and sensitivity that precede periodontal disease. Note any changes in the appearance of teeth or gums. Home care is one of the most simple measures for maintaining oral health for patients in San Antonio. Your general practitioner dentist is your ally in the battle against gum disease. He or she is on the front line, performing regular cleanings and examinations of your gums and teeth. By visiting your dentist as recommended, you may be able to prevent gingivitis or periodontitis. You will also be able to track the progress of disease if, for some reason, the general dentist is unable to resolve a growing concern. In this case, you may receive or request a referral to KRK Implant Center for advanced treatment. Perform a thorough examination of the issues concerning you and identify the causes and status of your gum disease. Recommend an approach for resolving these concerns. Answer any questions you have about our procedures. Doctor Krueger usually begins treatment with scaling and root planing. This is non-surgical procedure removes bacteria, plaque, and tartar to eliminate gum irritation and disease. Doctor Krueger will use a local anesthetic to insure your comfort, and he will perform this deep cleaning to get to the source of your disease..
We will evaluate your body’s response to the procedure after two to three months, and determine whether you require further treatment. Doctor Krueger has expertise in several treatment options that can reduce the size of the pockets that are trapping bacteria, strengthen weakened bone, and restore teeth that you may have lost. Learn more about winning the battle. San Antonio gum disease patients can contact KRK Implant Center at 210.826.3946 or fill out the form on the right. 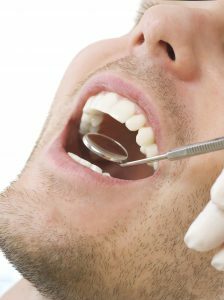 When is Sedation Dentistry Appropriate? I Was Recently Diagnosed with Periodontal Disease. Do I Need to See a Periodontist?